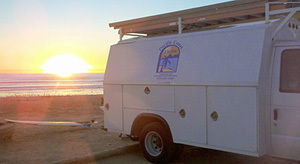 Pacific Coast Electric is a one-source, licensed and insured C-10 electrician. We specialize in all phases of electrical system installation, data cabling and network equipment installations and voice cabling. We also offer fiber optic installation and terminations. All installations are expertly installed labeled and completed to meet all NEC/ANSI/EIA/TIA and local codes. We pride ourselves on prompt professional and reliable service. Pacific Coast Electric has been in business in Orange County for over 24 years and has 25 years of experience and expertise in the trade. We would be pleased to give you a competitive bid on any of your upcoming projects or help with any of your technical needs.